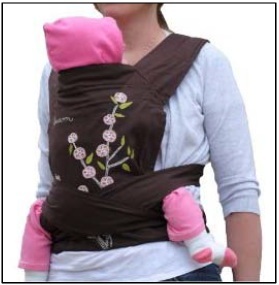 Yesterday, the CPSC proposed a rule for soft infant and toddler carriers. The rule uses § 104 of the Consumer Product Safety Improvement Act, which requires us to take the voluntary standards from bodies that include representatives from industry, consumer groups, and government and make those standards mandatory. I voted against this NPR because I believe it exceeds our authority under § 104 and because our data does not demonstrate that soft carriers demand regulation. First, these carriers don’t fit § 104, which tells us to regulate “durable infant or toddler products.” The Department of Commerce has an oft-cited definition of durable goods: those with “an average life of at least three years.” But based on our data, most parents don’t use these carriers past a child’s first year, and less than a third in use are second-hand. This is not surprising since these items are generally low-priced—some sell for as little as $20. So, in general, soft carriers are not durable within a generally accepted definition. To regulate soft carriers under § 104, we would have to presume Congress meant nothing by “durable.” But that is not how we normally read statutes, and ignoring the word essentially amends the statute, something we cannot do. Since I believe this rule exceeds our authority under § 104, I cannot support it. Second, the data on soft carriers does not show that they pose an unreasonable risk of injury, the test we would have to apply to regulate them outside of § 104. Per our staff’s estimates, 2.6 million carriers are in use each year and 108 children are injured while using them, an injury rate of 0.004%. Other products we’ve regulated under § 104 include play yards and hard-sided carrier, with injury rates that are 10 to 100 times higher. Further, about 65% of estimated injuries come when the adult wearing the carrier falls, and tripping is a hazard we cannot regulate away. I don’t want to diminish the effects of any injuries—we must view them through the lens of our obligations. We are to regulate unreasonable risks, not every risk, and we have to work judiciously. That means putting our resources where they can do the most good for the most people. This rule does not fit that model.